When news of the potential closure reached state reps, Alderman says they immediately called and asked, 'what can we do to help?' Now, they're working together to keep the store's doors open, and its legacy alive. "I was definitely dismayed, but not surprised. We're in the era of chain stores, Blue Apron and Amazon," said Rep. Mari Cordes, D/P-Lincoln. Cordes spoke to the Commissioner of the Tax Department and Lieutenant Governor David Zuckerman Thursday. She says they all agreed it's in everybody's best interest to keep country stores like Monkton General afloat. 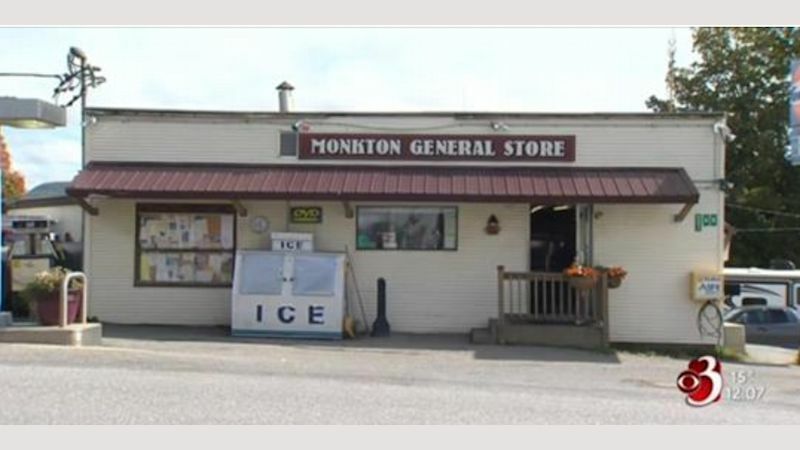 "Like schools, I think general stores are the heart of the community. Having village central areas and economic hubs, I think, are critical to that so that people can get their needs locally and not be driving long distances to purchase things." We of Bristol, Lincoln, Starksboro, and Monkton could not be better represented, and it is with admiration from me, who ran against them this primary, that I ask you to support them. The State House will run better if they are in there to help. LINCOLN, VT — Mari Cordes, Democratic candidate for the Vermont House in Addison-4, has received endorsements from several individuals and organizations, including David Zuckerman, Bill McKibben, the VSEA, and Rights & Democracy. "Mari Cordes in town from Vermont, said that she makes sure to let her nursing board know ahead of time when she plans to participate in “CD” so it won’t interfere with her licensing. When asked whether or not helping professionals should be protesting this way, she said, “I think this is one of the most healing things a nursing practitioner can do.” I am sure there are many other ways Ms. Cordes would have preferred to use her time. She’s a mother, grandmother, and full time Nurse back in Vermont. But she felt compelled to be here." "Instead of slashing health care to cover the cost of massive tax cuts for the wealthy, elected leaders should listen to their constituents and work to expand access to health care so that every American can get the care they need, when they need it." As the American Civil Liberties Union's Twitter feed put it, "Senators Collins, McCain and Murkowski deserve gratitude — but the real heroes are the millions of Americans who showed us what democracy looks like." "Inspired by the work of Sen. Bernie Sanders (I-Vt.), Cordes, a 57-year-old grandmother and registered nurse, is seeking public office after decades of advocating for individuals and families. In her state, she has helped secure paid sick leave, pass anti-discrimination legislation for transgender people and expose systemic racism. She has also provided medical and disaster relief to earthquake survivors in Haiti and refugees passing through Greece. Cordes believes it’s our responsibility to help anyone who is negatively impacted by U.S. policy, including Syrian refugees and communities affected by the climate crisis. It takes ordinary people like us, like me, fighting like hell for a world that works for everyone and not just a few." After Bernie: Will "Our Revolution" Deliver on Its Promise of "Political Revolution"? When Our Revolution -- the new organization founded by Sen. Bernie Sanders -- kicked off in Burlington, Vermont, a nurse and long-time union organizer, Mari Cordes, introduced the iconic senator in front of the many thousands watching across the country. While Cordes is a major advocate for social change in Vermont, she is not a national figure. But some might call her a pioneer whose story may be the epitome of the kind of "political revolution" that Sanders says is "just getting started." Cordes is among several Vermont progressives, many of whom have worked with Sanders in the past, who have already had success in winning down-ticket primaries this year against what Cordes described in an interview with Truthout as "the Democratic establishment in Vermont." She was endorsed personally by Bernie Sanders in her successful primary challenge for a seat in Vermont's House of Representatives, against an incumbent Democrat. Since then, she has been among the first candidates endorsed by Our Revolution. She was also endorsed by Rights and Democracy (RAD), a Vermont-based group she helped found, which has similar goals as Our Revolution, emphasizing down-ticket races at the local level. Mari Cordes, who is running for the Vermont House of Representatives in Addison-4, was named to the Progressive Change Campaign Committee’s 2016 Power List, which recognizes rising political stars from across the country. People’s Action, a national organization of more than a million people, is endorsing 22 candidates around the country. The candidates exemplify the leadership qualities, values and vision necessary to build a strong future for everyone – not just the wealthy few. 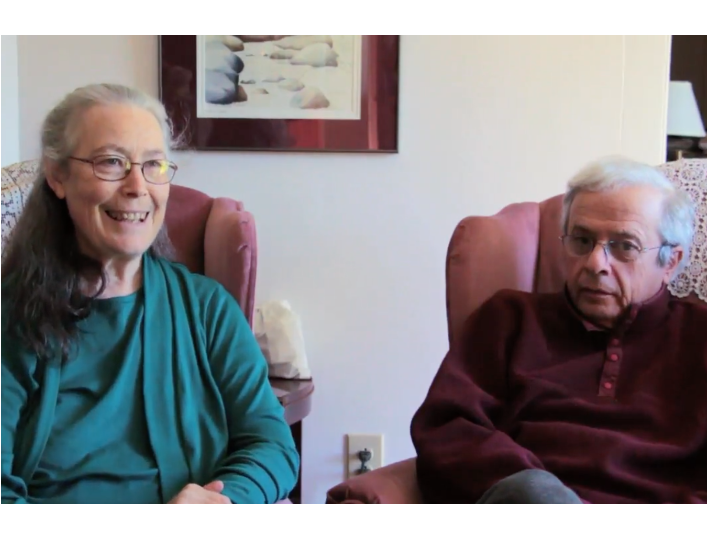 Susan Borg and Richard Nessen from Lincoln, Vermont: "She's going to be a very, very strong Representative"
Catch Mari on Bernie's livestream! This past Wednesday night, surrounded by fellow progressive candidates, Bill McKibben, and a standing-room-only crowd, I had the honor of introducing Senator Bernie Sanders at his national broadcast launching the organization Our Revolution. It was a privilege to join Bernie in carrying the message that the people's movement sparked by his presidential candidacy has transformed this country’s political landscape. Today, meaningful progressive change can and will occur from our local school boards all the way to the halls of Congress! Watch my speech following Bill McKibben’s introduction, and keep listening for Bernie’s full message. Vermonters went to the polls on Tuesday to choose nominees for governor, lieutenant governor, state senators and state representatives, and cast ballots on local issues. “I live with my husband and our small flock of quirky chickens on our off-the-grid homestead,” reads Mari Cordes’ campaign website. But don’t be fooled by her humble words; Cordes is a powerhouse. As president of the 2,000-member Vermont Federation of Nurses and Health Professionals (VFNHP), Cordes successfully fought for paid sick leave, improved health care legislation, an end to insurance discrimination against transgendered patients and increased oversight of for-profit hospital buyouts, all while working 12-hour shifts as a cardiology RN. In the wake of Bernie Sanders’ groundbreaking progressive campaign, Cordes has set her sights on something even bigger—the Vermont House of Representatives. On August 9, the self-described progressive Democrat will make her first run for elected office, facing off against Stephen Pilcher and incumbent Dave Sharpe in the Democratic primary. Vermont is one of the few states with a precedent of progressive leadership. Not only have third-party progressive candidates won seats in the state House and Senate, but Sanders also hails from the Green Mountain State. Riding the wave of political optimism created by his campaign, candidates like Cordes are working to ensure that the senator’s progressive legacy will live on in local government. Her work has earned her the endorsements of the Vermont AFL-CIO, the Vermont National Educators Association and the Vermont State Employees’ Association. In These Times recently connected with Cordes by phone to discuss her past, present and future as a political leader. Proud to be part of a coalition that made this into law this year! "We are living in a remarkable period of time when policy, resources and protections have shifted dramatically toward large businesses and away from people, with a continuing and disturbing trend of deteriorating standards for the lowest paid workers while the wealth and opportunities of very few are flourishing. All this while evidence grows that paid sick leave policies work and support both people and business." A survey of the 3,000-member Vermont Federation of Nurses and Health Professionals showed overwhelming support for singer payer, said Mari Cordes, a nurse member of the union. Health care providers want anyone who needs medical attention to get it as early as possible, she said, with no barriers to accessing care when their condition worsens or becomes life-threatening and costlier to treat. We are writing on behalf of Mari Cordes, a working nurse in Burlington, Vermont and past president of the 2,000-member AFT-affiliated RN union at UVM Medical Center. .... She was instrumental in securing her state federation’s support for [Bernie Sanders] campaign and joined other members in lobbying the American Federation of Teachers to back Bernie’s presidential bid. 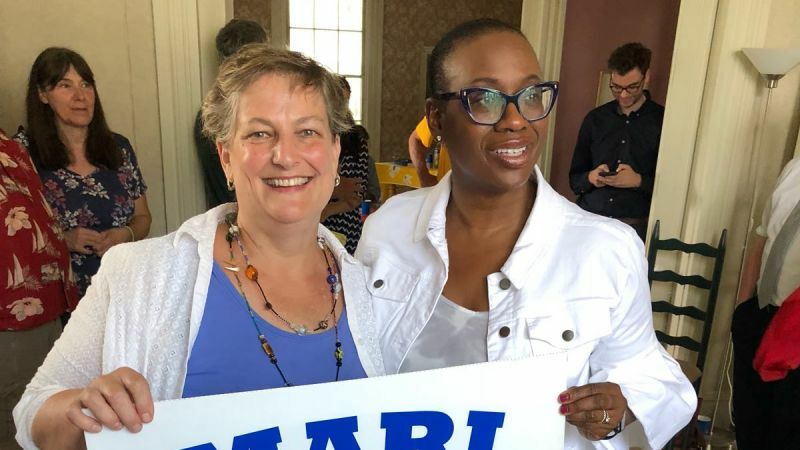 Mari is now running for office herself, as part of the surge of interest in local progressive politics generated by Bernie’s national campaign. 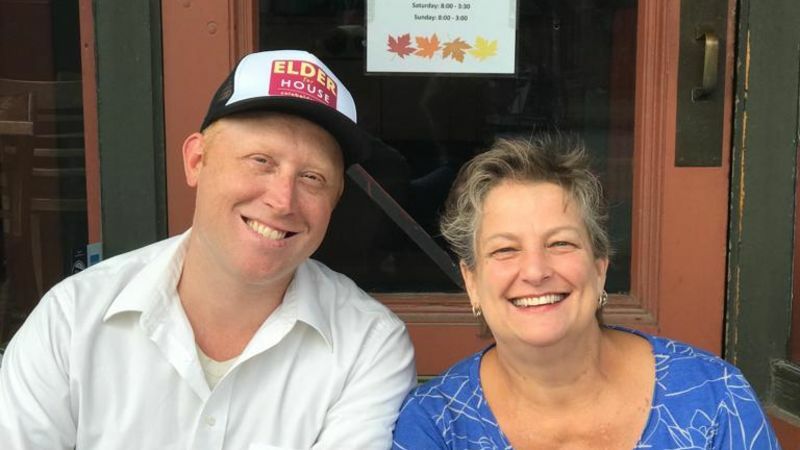 She is running for the Vermont State House of Representatives from the Addison-4 District (the towns of Lincoln, Starksboro, Monkton, and Bristol). Mari Cordes co-led the Equal Care Coalition that won this: "Transgender Law Center congratulates the state of Vermont today, as it becomes the fourth state (and DC!) to order insurance companies to end their practice of excluding medically necessary care for transgender people." Vermont’s Voice For Nurses–and All of Us!